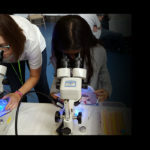 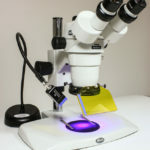 Students use the NIGHTSEA Model SFA Stereo Microscope Fluorescence Adapter system to conduct inquiry-based genetics experiments in the laboratory. 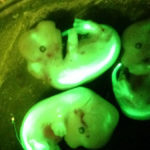 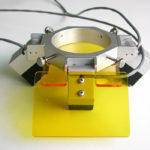 The NIGHTSEA Stereo Microscope Fluorescence Adapter (SFA) improved workflow for research with mouse embryos by detecting GFP-positive specimens and aiding in dissection – right in the mouse facility. 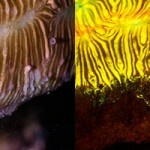 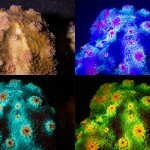 With fluorescence, what you see depends on how you excite and view the subject – the interaction of the excitation wavelength, the fluorescing substance, and the barrier filter.